Plan B Games has revealed the third and final game in the Century series. A New World can be played individually or as part of a larger game included Spice Road and Eastern Wonders. The Century games are very classic worker placement games where you look to make the most of certain areas of the board, building up your resources and chaining actions so that they create more points for you by the end of the game. A New World takes your traders across the Atlantic at the dawn of the 16th Century. You will be exploring new lands, trading with the locals and hunting and gathering in order to survive. 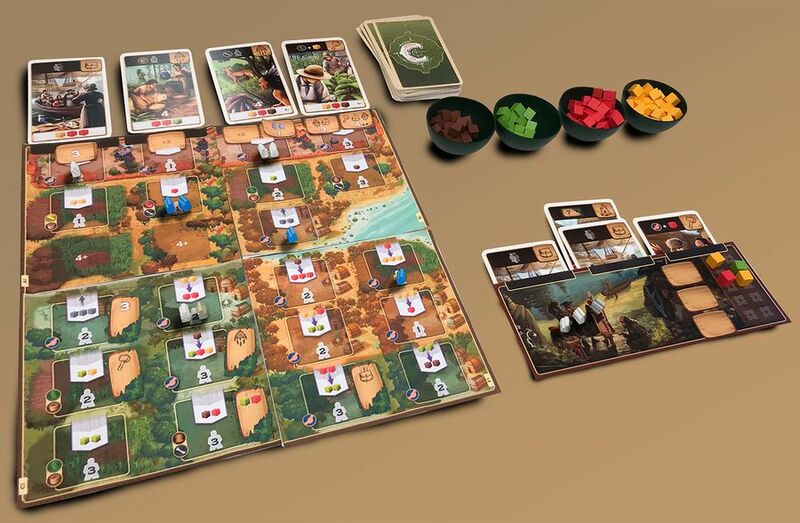 The resource trading and worker placement mechanics are back but with a few twists to make it stand out as an individual game as well as part of the larger whole. From everything I’ve heard about Century (I have not played it myself), it seems like a great game but there’s very little reason to buy ALL of the games to play it as one expansive experience. A lot of folks seem to be picking the themes and mechanics that work best for them and simply going for that.